One of the first things Doris McCutcheon thought when she learned she was among the seven seniors named as 2018 Senior Volunteers of the Year by the state of Michigan was how her Governor’s Service Award will inspire others. Doris has been doing works of service for her community nearly her whole life. Raised in Cleveland, Ohio, she worked at the office for her childhood church from 1965-68. 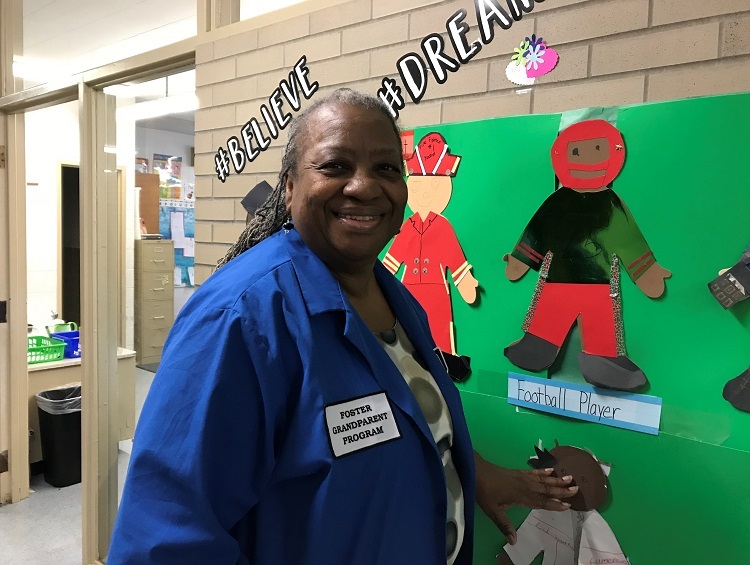 Doris came to Michigan as an adult in the late 1970s with her family and settled in Pontiac, where she raised her daughter and son and became involved in the local community. She served as PTO president for her kids’ school and on the Education Committee of the Pontiac Urban League, was director of the board for the Pontiac Boys & Girls Club, and helped with several programs through her church, Refuge International Ministries. All the adults, teens, and children Doris has helped during her lifetime have a special place in her heart, especially one young girl named Cassandra. “She was eleven years old when we first met her,” said Doris. Today Cassandra is a grown woman with two children. “She is an excellent mother,” said Doris with pride. Does she believe she and Monica’s influence led to this aspect of Cassandra’s life? Doris smiles when asked, but says nothing. 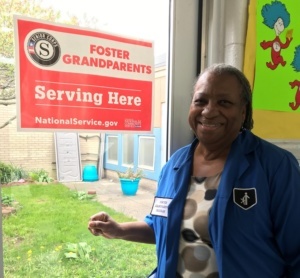 That humility is one of Doris’ many remarkable attributes which led Carol Wall, CCSEM Program Manager for the Foster Grandparent Program, to nominate Doris for volunteer recognition. Carol stresses Catholic Charities could not do what it does without staff and volunteers like Doris. This is the approach Doris takes with the children at Herrington. 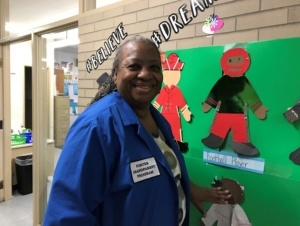 Using her artistic talent, she helps the children create paper figurines of the person they would like to become when they grow up. Then she continues to remind them of the image they should have for themselves. Doris emphasized the work she does for these children gives as much to her as it gives to them. To learn more about CCSEM’s Foster Grandparent program, click here. To find out how to get involved, contact Carol Wall at 248-559-1147 ext. 3919 or wallc@ccsem.org.